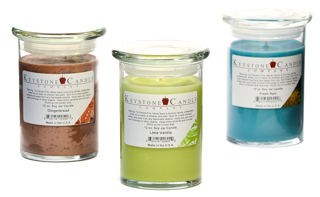 At Keystone Candle we handcraft candles in a jar with a huge selection of sizes, fragrances, styles and colors. 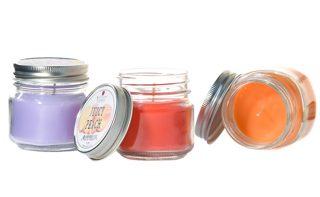 We manufacture everything from small jar candles in 5 ounce containers up to large jar candles in containers that are 2 gallons. 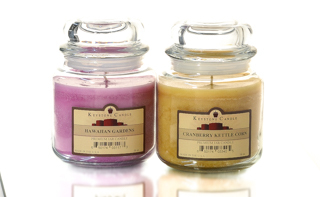 Our paraffin and soy jar candles burn great, using up all the wax and filling your home with fragrance. 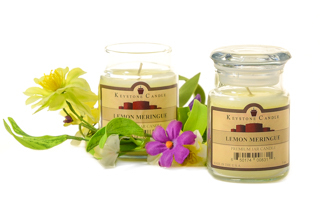 For people with allergies to fragrances we have also started pouring white unscented jar candles. 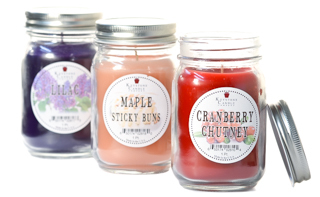 These are also great to use around food because it will not affect how it tastes. 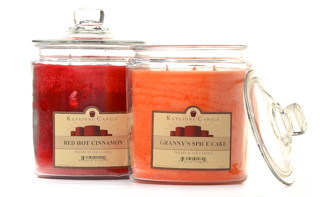 The most popular size is our 26 ounce scented jar candles. 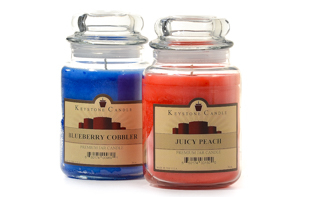 With over 80 fragrances to choose from there is something for everyone to enjoy. 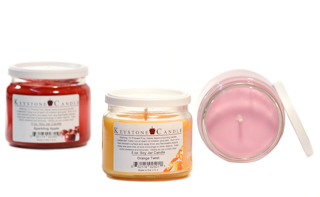 One of the biggest attractions to this line of products is that it is ready to use without the need for an additional holder or other accessories. 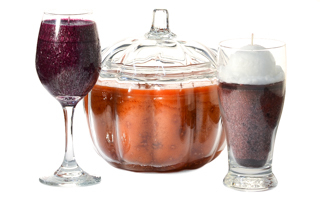 In addition, the wax is all contained so you don't need to worry about the liquid running dripping. 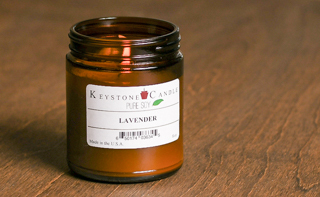 I love this candle! 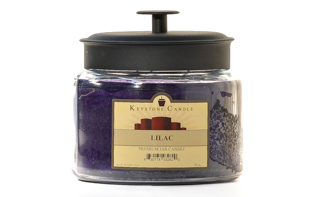 It totally "makes" a room with its 5 wicks and fabulous scents. And it lasts forever.